We are Back!! We are Better!! Help us reach our goal. We are 26 years Young! Our goal is $26k!! LET’S GOOOOOOO!!!! 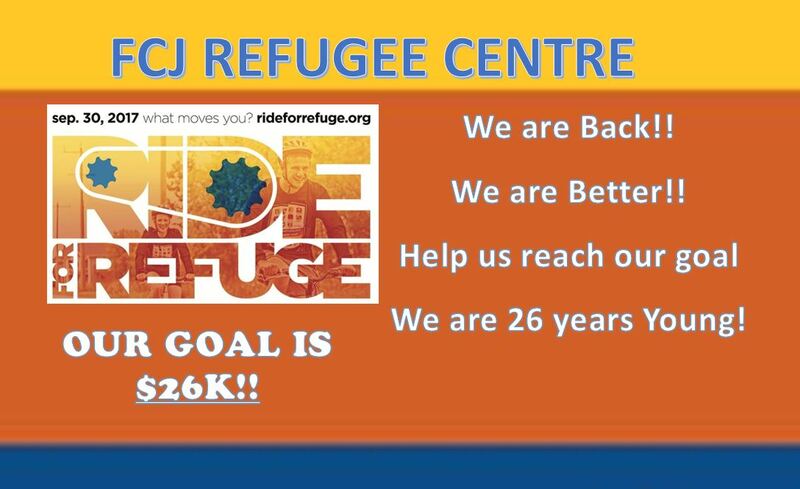 Come join the FCJ Refugee Centre teams and ride/walk and help us to help provide services for refugees! 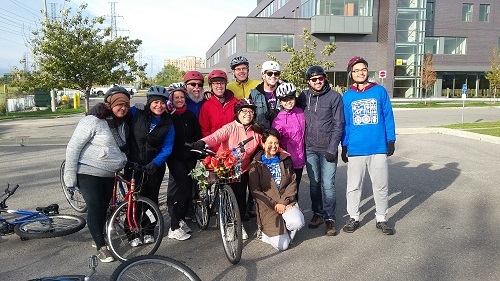 The Ride for Refuge on Saturday, September 30, 2017 is a super-fun, family-friendly fundraiser that supports charities who provide refuge and hope for displaced, vulnerable and exploited people everywhere. This year our fundraising goal is $26,000 as the FCJ Refugee Centre has been opening their doors for 26 years. We need your donation to continue working and helping unprotected people.